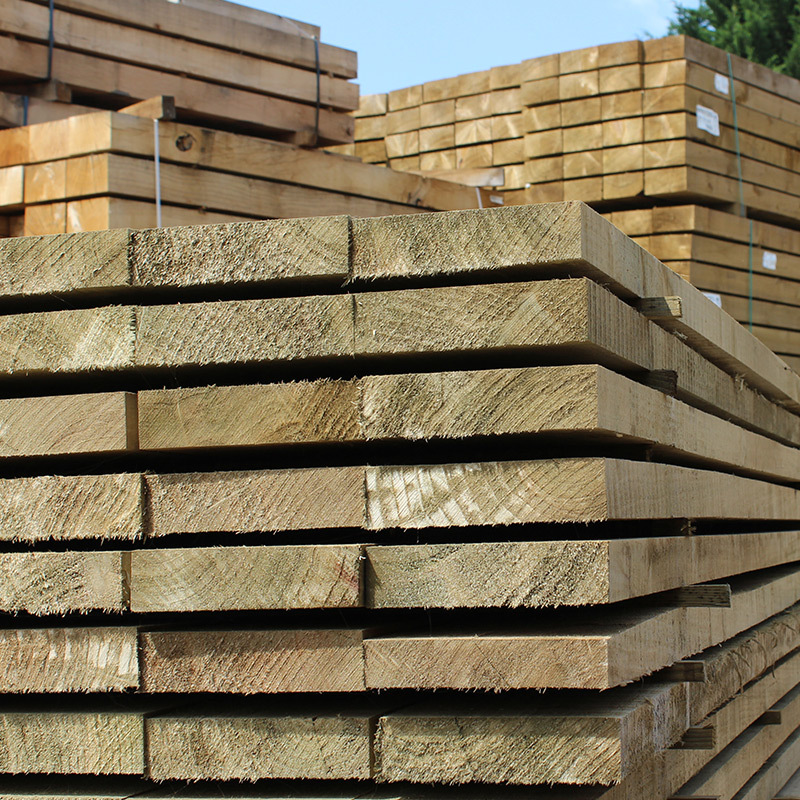 These are beautiful top quality oak railway sleepers cut from only the best parts of the tree, primarily straight edged, naturally long lasting, untreated, new railway sleepers for almost any garden use imaginable such as paths and walkways, the choice is down to you. 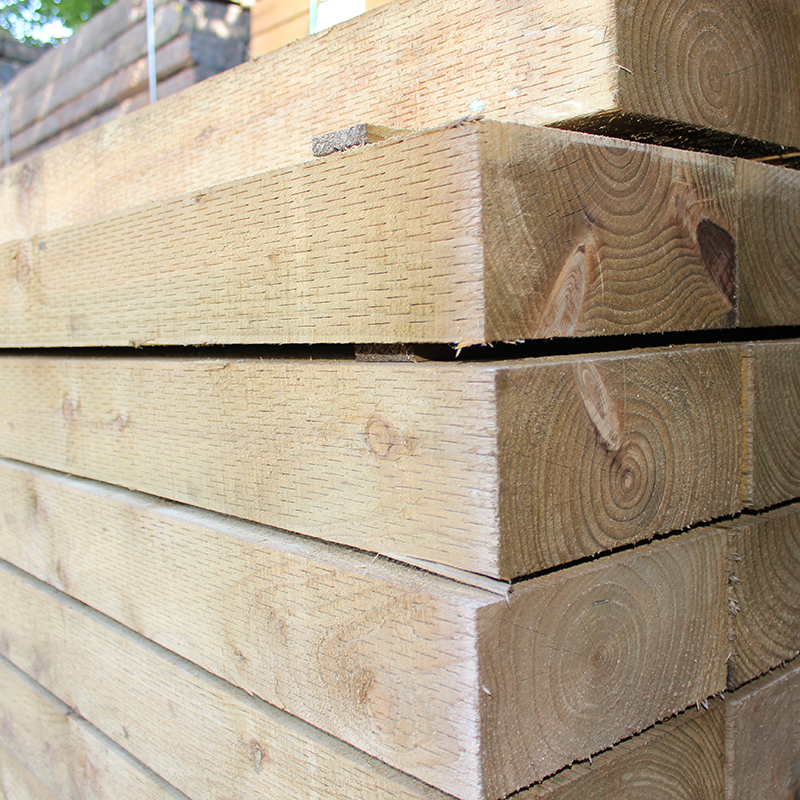 Our Chestnut railway sleepers are possibly the most durable, hardwearing of domestic European hardwoods. Chestnut has a beautiful light red/brown colour and striking grain pattern. Chestnut is favoured by french vineyard owners as the longest lasting domestic timber that requires absolutely no treatment. A truly exceptional alternative to oak railway sleepers if you are looking for something that little bit different! New Untreated Oak Board Railway Sleepers. 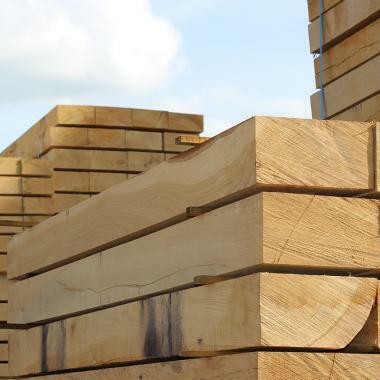 Beautiful Oak board railway sleepers cut from the best parts of the tree, straight edged almost architectural finish, naturally long lasting, untreated, new railway sleepers for almost any garden use imaginable. 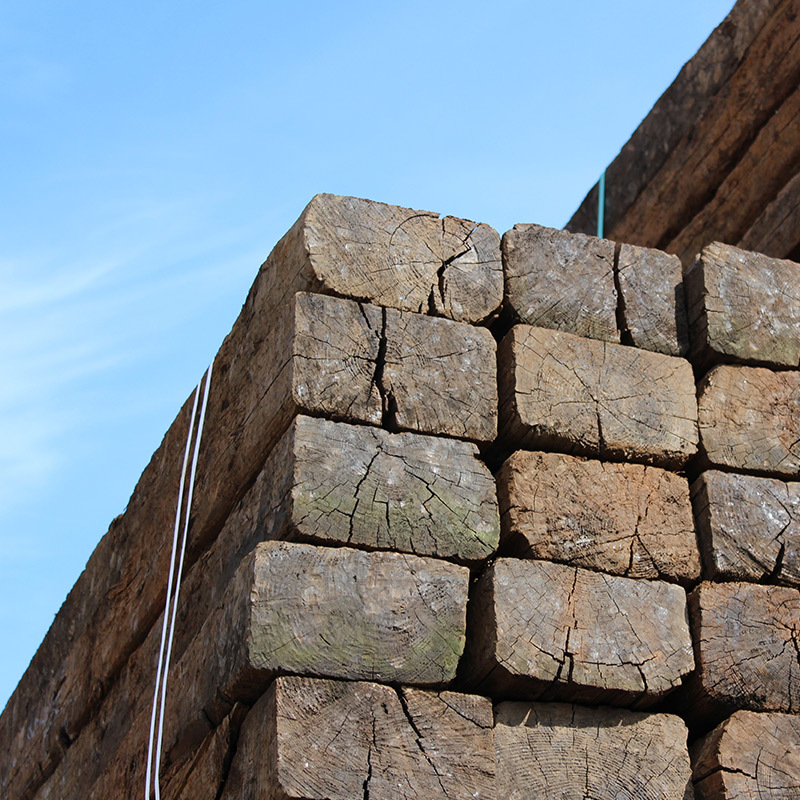 A favourite choice amongst all of our railway sleeper products. New Untreated Half Oak Railway Sleepers. 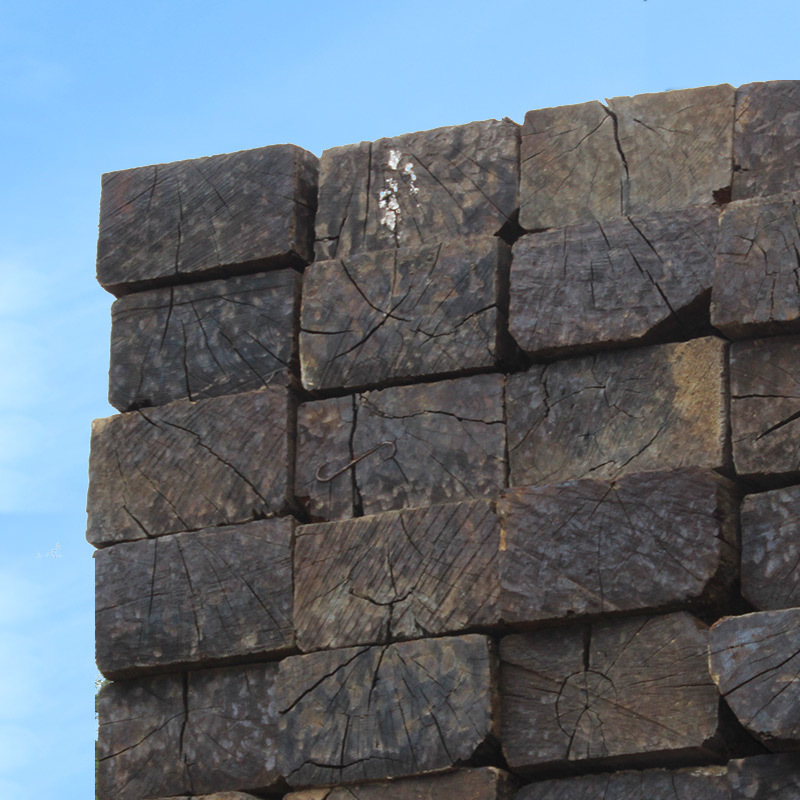 The new untreated half oak railway sleepers are our most versatile of all our railway sleepers range. Patios can be created with these sleepers, raised beds, planters and even homemade garden furniture! In actual fact we supply numerous furniture manufacturers with this product it is that good! Don't take our word for it, try it yourselves. New Rustic Oak Railway Sleepers. 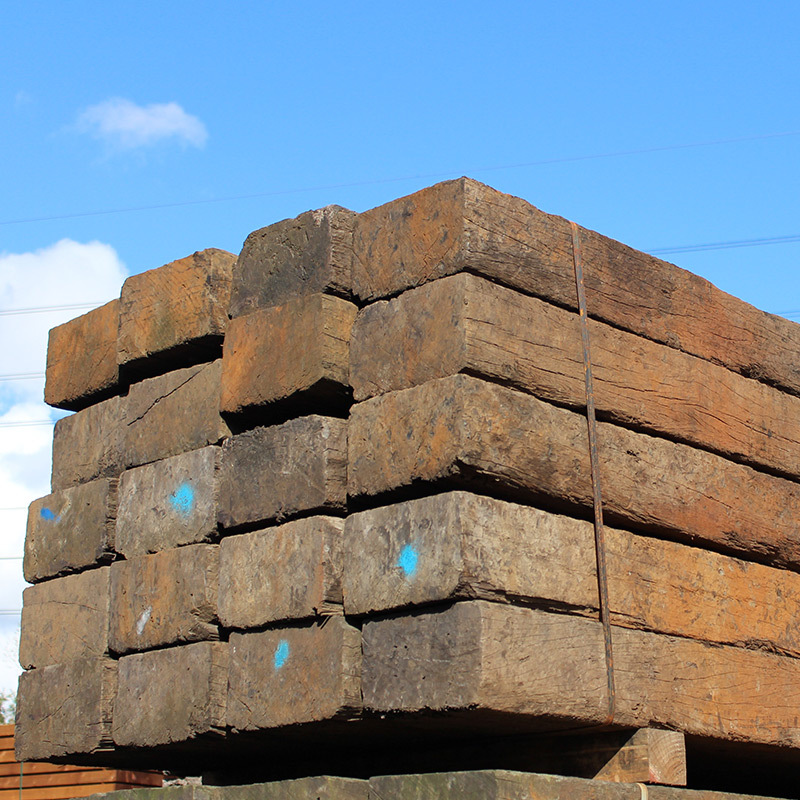 Traditional new rustic oak railway sleepers offer true character for a very low price! The sleepers can have waned edges or a little residual bark, the odd knot or two, irregular lengths between 2.5 - 2.7 metres and possibly a split or two, though not normally all at the same time! The railway sleepers are made from fresh oak and will change colour to a silver grey with the bleaching effects of the sun. 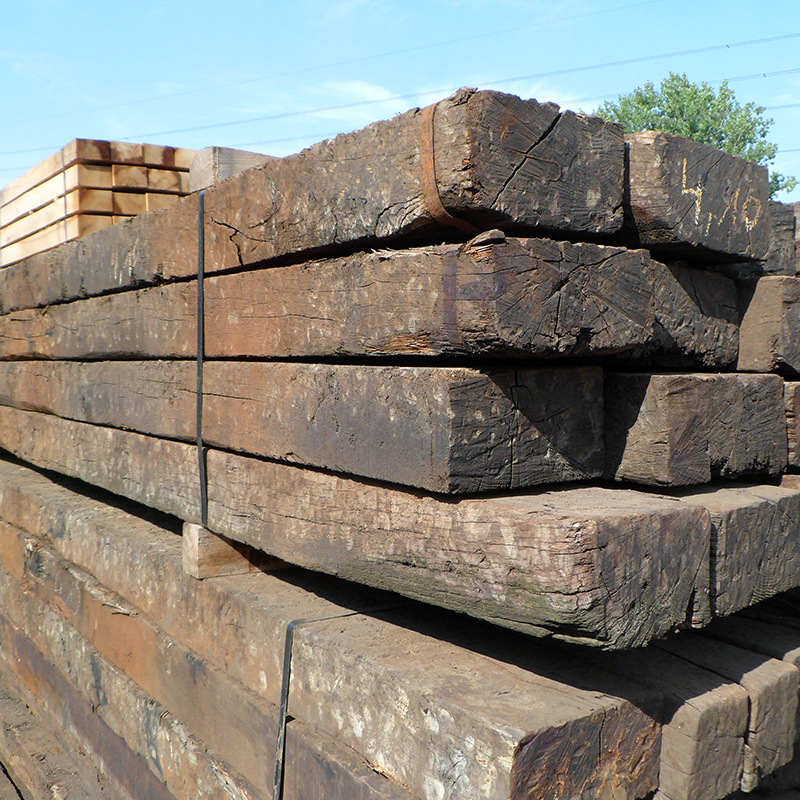 If you are looking for a traditional low-cost alternative these are the railway sleepers for you. 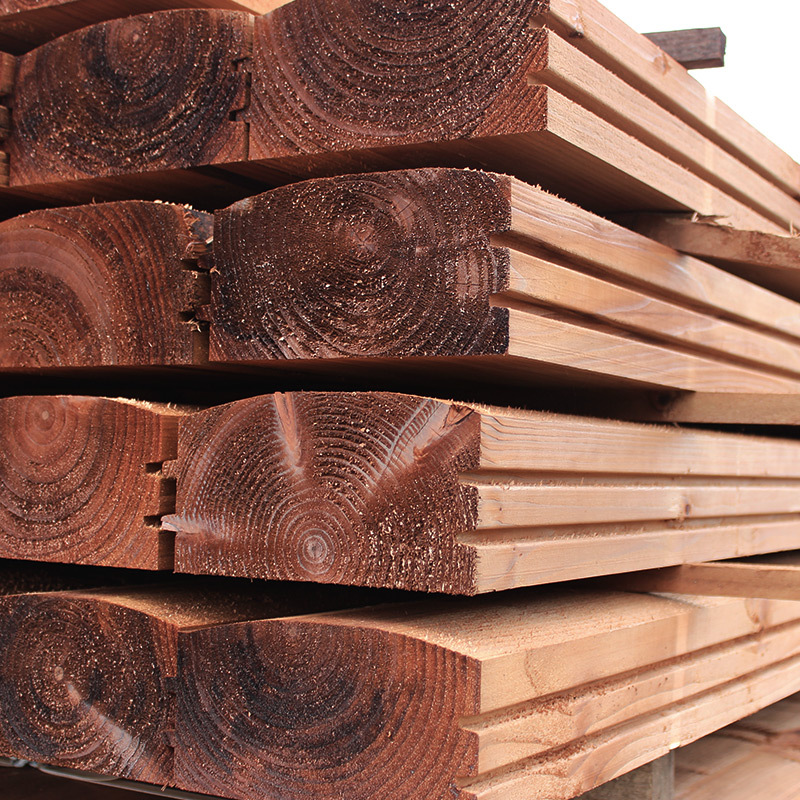 New Untreated Softwood Railway Sleepers. 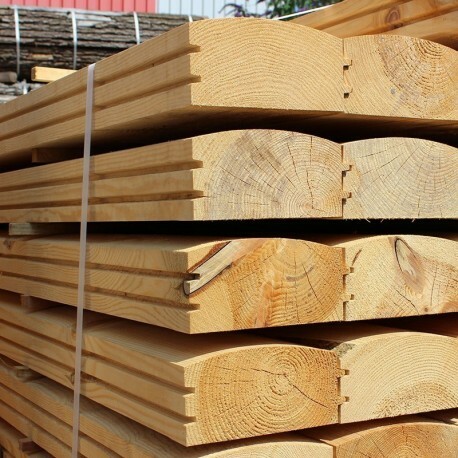 These new untreated softwood railway sleepers are naturally long lasting and the most durable, they are perfect for use in all sensitive areas including, childrens play areas, water features, raised vegetable beds and a plethora of other garden and interior uses! 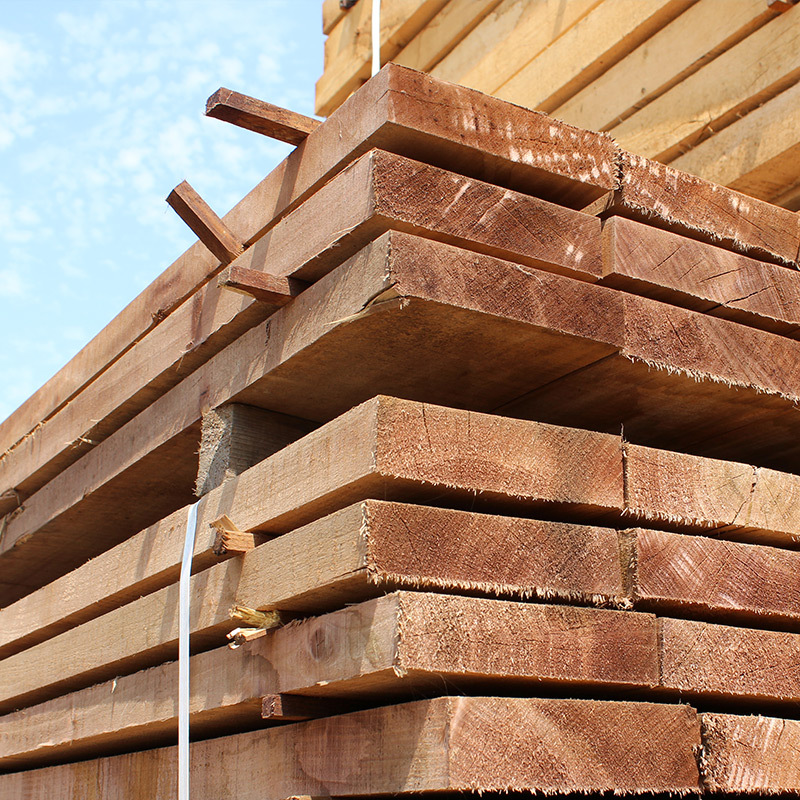 The railway sleepers are made from native pine and cut from the best part of the tree! New ECO friendly Treated Railway Sleepers. Before you say that our railway sleepers are damaging the environment, and for all you ECO warriors out there we have the new ECO friendly treated railway sleepers. 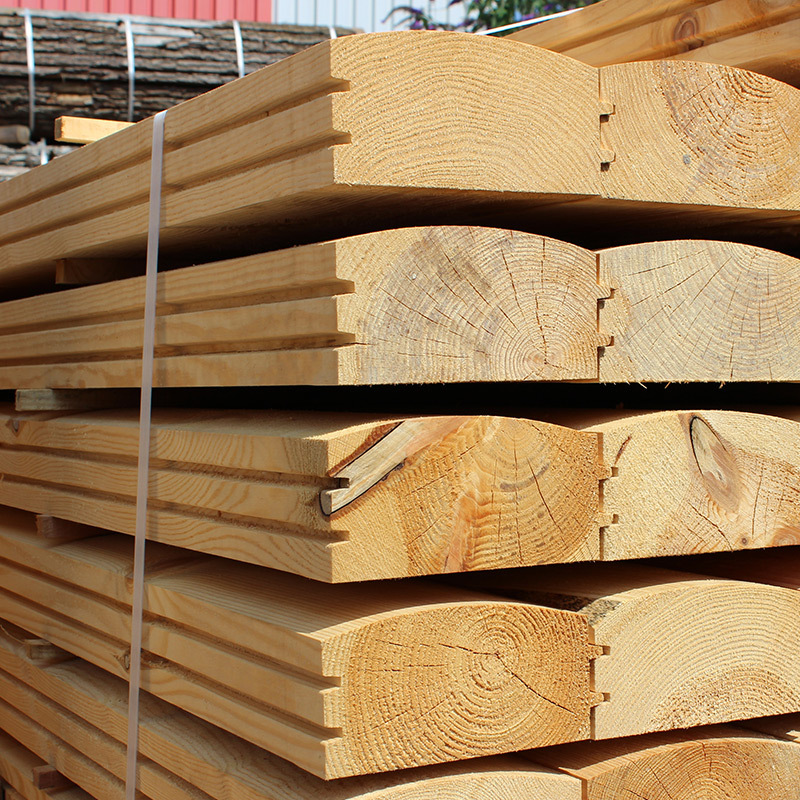 it is produced from sustainably cropped European woodlands and is beautifully grained and available in all grades.